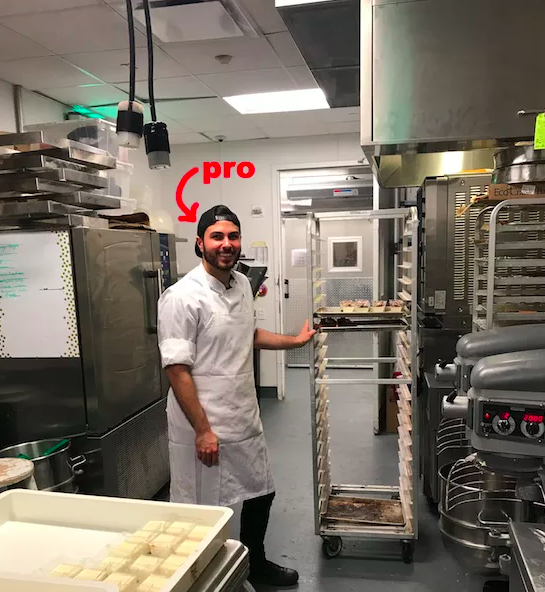 If there’s anyone who knows how to make amazing cookies, it’s a professional pastry chef. 1. Double check what size eggs you’re using. Most recipes call for large eggs, and anything different might mess up the recipe ratio. “Not all eggs are the same,” says Bartone. “If your recipe calls for large eggs, make sure you’re actually using large eggs.” If you were to replace a large egg with a jumbo egg, the recipe ratio will change and potentially mess up your cookies. Always double check your recipes and egg sizes to make sure you’re on track. 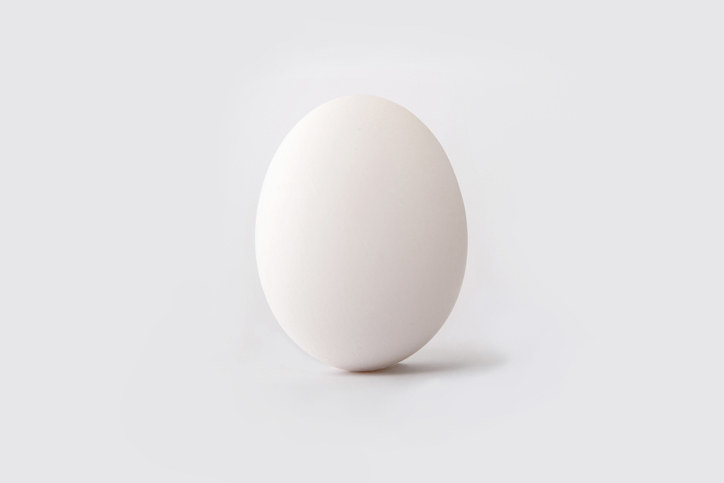 Learn more: What’s the difference between medium, large, extra-large, and jumbo eggs? 2. If your recipe calls for softened butter, make sure your eggs are at room temperature, too. Everybody knows that room temperature butter is easier to cream, but using room temperature eggs can be equally important when making cookies. “I like to use room temperature eggs when making cookies,” says Bartone. “It ensures that the butter doesn’t get too cold and firm up when I add them.” If you were to use cold eggs, they could shock the creamed butter and cause your batter to split. “Instead of using parchment paper, I like to use nonstick baking mats,” says Bartone. “They are reusable and prevent just about everything from sticking to them.” The nonstick texture also helps cookies spread without becoming too flat or pooling oil, something that can happen when baking on greased cookie sheets. 4. But if your cookies do stick to the pan, place them back in the oven for one minute and immediately try to release them from the pan while still warm. 5. Buy yourself a cookies scoop to keep your dough balls consistent. Get a stainless steel cookie scoop on Amazon for $12.75. 6. Make sure you cream your butter and sugar together for long enough — a quick mixing isn’t gonna do it. Creaming butter and sugar together helps add air to dough, thus making your cookies lighter. “If you don’t cream your butter and sugar together for long enough, your cookies will end up dense,” explains Bartone. A good rule of thumb is to cream your butter and sugar together until it lightens in color. This means that enough air has been sufficiently incorporated and generally takes about five minutes to achieve — so don’t rush it. 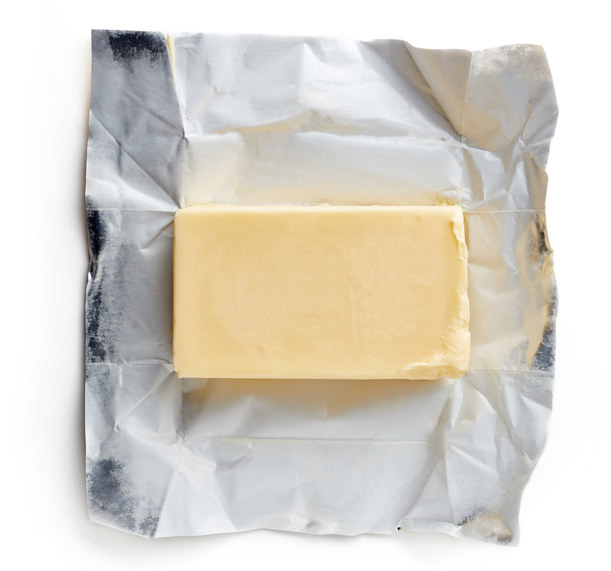 Learn more: How to cream butter and sugar together. 7. After scooping your dough, add a few extra chocolate chips directly on top of the dough before baking it. “To give your cookies that cartoon cookie look, place some chocolate chips directly on top of the dough before baking it,” says Bartone. 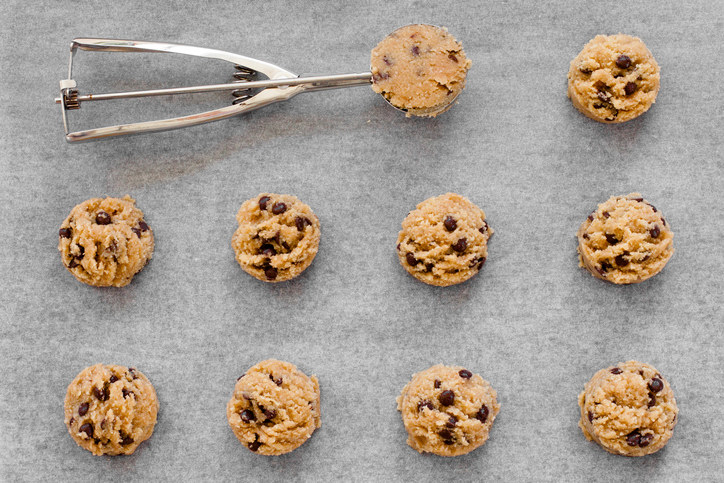 This is just a quick trick that will help make your cookies look even better. 8. Let your chocolate chip cookie dough ripen in the fridge for at least 24 hours before using it. “Make your cookie dough and let it rest in the fridge for at least 24 hours before baking,” suggests Bartone. “This resting time will give it a better flavor and dry it out just enough to give it a better texture.” Just scoop the dough, place it on a baking tray, and leave it uncovered in your fridge until you’re ready to bake. 9. Be generous with the salt when seasoning your cookie dough. “Salt is what gives your cookies flavor,” explains Bartone. “Don’t be skimpy with it, and taste your dough before you bake it to make sure it’s seasoned properly.” If your dough tastes flat, it may just need extra salt to help the flavors shine. A good rule of thumb is to start with the stated amount of salt in a recipe, taste the dough, and adjust. 10. For cookies that have crinkles (such as gingersnaps), giving the pan a good bang on the countertop after baking helps create deeper crinkles. Learn more: Get a recipe for pan-banging chocolate chip cookies. 11. If using the same sheet tray for several batches of cookies, make sure to let it cool completely before using it again. “Using a hot sheet tray to bake cookies could make your cookies spread out too quickly and potentially pool butter everywhere,” says Bartone. To prevent this, just make sure to completely cool your sheet tray before baking another batch on it and you will be A-OK.
12. If you’re trying to make perfectly round cookies for decorating, use a microplane to sand the edges after baking them. Get a microplane on Amazon for $12.95.